Book 19 in my challenge to read one book (I haven’t read before) a fortnight in 2012 is Sweetly by Jackson Pearce. Sweetly is a reworking of the Hansel and Gretel fairytale. Ansel and his twin sisters find themselves in the forest as young children, and are chased by a strange monster. Ansel and his sister Gretchen survive, their other sibling does not. Fast forward 12 years and the pair are thrown out of their home by their stepmother, and decide to make their way to South Carolina. When their car breaks down they are drawn in to a little town called Live Oak, and find a home with a young sweetmaker called Sophia Kelly – standing in for the witch in the tale, but far more complex and not the true villain of the tale, or is she? Hidden away in her little cottage at the edge of a forest, Ansel and Gretel find love, friendship and acceptance. But the forest bordering the house threatens Gretel, reminding her constantly of the twin she lost. On a trip into the forest to conquer her demons she is chased by a monster, and rescued by the stoic Samuel. Determined not to be a victim any longer, Gretel persuades Samuel to teach her to fight the monsters. Sweetly is a classic of the child story genre – bad things lurk in dark places to scare – with an adult twist. The relationships within, including Sophia Kelly slowly becoming a replacement for the sister Gretel lost, Ansel and Sophia Kelly’s budding romance, and Ansel and Gretel‘s sibling bond, are well crafted and very real, full of hope and uncertainty and fear. Pearce builds the tension to finding out what the monsters in the forest are slowly. Unfortunately, in this case, the tension is far scarier than the actual reveal, and I found myself going “that’s it?” when the monsters came out of hiding. Plus, the cover of the book was scarier than the actual monsters. What was really interesting and quite scary was Sophia Kelly, who I didn’t like from the moment I met her, but who was an utterly fascinating character. Pearce shows Ansel and Gretel growing ever closer to Sophia Kelly, but always presents her with a dark edge that made me feel slightly uneasy. 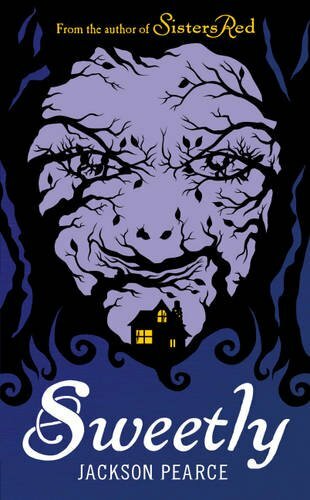 Sweetly is an interesting take on the Hansel and Gretel fairytale, and while an easy read, in this case the original story of the siblings who run into a witch in a gingerbread house is far superior.